I’ve got to admit, I love a good soundtrack, and I love a good coloured vinyl release. So when I saw that Howard Shore’s score to David Cronenberg’s 1986 reimagining of The Fly was being released, I jumped at the chance. These boutique vinyl releases seem to be getting more and more popular, and it’s with soundtracks that labels tend to be focusing on. That’s good news for me, but very bad news for my bank balance. This particular release has a less than impressive 3D lenticular cover, but the best thing is that the vinyl itself is a lovely green / black “haze”. They really could have done something a little better with the lenticular cover. The eventual vinyl release of the White Stripes’ Get Behind Me Satan for 2015’s Record Store Day showed how well a lenticular cover can work. Here, the artwork flips between a smoky shot of the infamous teleporter, and a similarly smoky shot of the same teleporter with a human arm and a giant fly’s leg reaching out. The two images are not different enough – or clear enough – to give a sense of a moving image. Still, it’s a lovely package and the record looks and sounds awesome – Brundlefly would approve! This entry was posted in 1986, Howard Shore, Vinyl Records and tagged 1986, David Cronenberg, Get Behind Me Satan, Howard Shore, Soundtrack, The Fly, The White Stripes, vinyl on March 31, 2017 by mrjohnnyandrews. I guess the fact that I’ve had this album in my collection for about three years, still sealed in its shrinkwrap, speaks for itself. The White Stripes at one point were probably the most cutting-edge band in America – but after Elephant I don’t think anyone really took any notice of them. I don’t think the quality of their records suffered after Elephant – there’s definitely nothing wrong with either Get Behind Me Satan or Icky Thump – but perhaps everybody just got over the novelty of seeing a two-piece band on stage (something that the Black Keys helped with). I remember reading an interview with Jack White in the early 2000s and he was saying how important it was to remain an enigma to their fans. ‘As soon as the music press find out everything about me, I’ve had it’ – he said, of words to those effect. Perhaps everybody just got bored of them. There used to be a load of mystery around Jack and Meg White’s relationship – are they brother and sister or husband and wife? – and as soon as it was revealed that they were a divorced couple, suddenly they didn’t seem so special anymore. This album is the soundtrack of Jack White’s marriage to Karen Elson – the Jean Paul Gaultier supermodel who went to my secondary school (she was in the year below me). 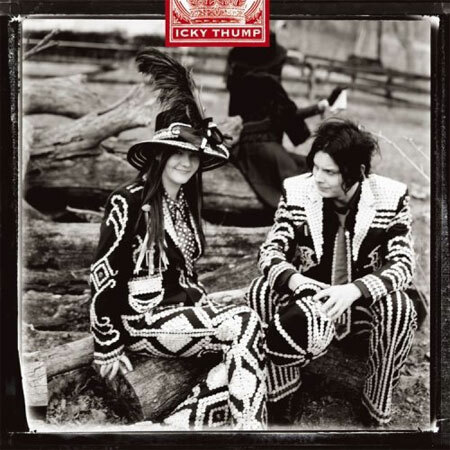 Icky Thump is surely a reference to the infamous Yorkshire martial-art Ecky Thump from The Goodies television show. I still find it hilarious that Karen Elson would have taken Jack White home to meet her parents in Oldham. Funnier still is that while he was there, somebody brought up The Goodies in conversation. White and Elson’s marriage didn’t last long unfortunately so now I can’t claim my hometown to be the home of a rock star. Well, unless you count Barclay James Harvest. No matter how I try, I can’t separate Icky Thump from a certain video I saw online once starring a young ‘actress’ being showered with more than just compliments. Whoever has uploaded this particular compilation had used the White Stripes song to soundtrack every highlight (and unless you’re offended by anything at all, don’t dare try and track this down). Good times! This entry was posted in 2007, The White Stripes and tagged 2007, Barclay James Harvest, Ecky Thump, Elephant, Get Behind Me Satan, Icky Thump, Jack White, Karen Elson, Meg White, Oldham, The Black Keys, The Goodies, The White Stripes, vinyl on November 26, 2013 by mrjohnnyandrews. I’d avoided this album throughout 2012. I hadn’t heard particularly good things about it, especially from one particular critic, and that really put me off even trying the album. 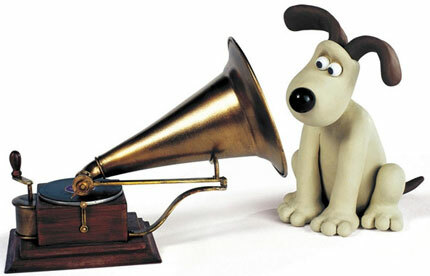 Towards the end of the year though, I started hearing claims such as ‘Best Album Of The Year’ or ‘Best Rock Album Of The Year’ emitting from magazine, newspaper and website round-ups of the year. I then heard that Blunderbuss was the best selling vinyl record of 2012 (in the U.S.), narrowly beating the 2012 stereo remaster of Abbey Road (which I did manage to get my hands on before the end of the year, as part of the Beatles’ stereo vinyl box set). Although, Jack White’s album came out in April, whereas those Beatles records didn’t see the light of day until November, so I’m not sure too much should be read into that. There are also two Mumford & Sons albums in that top-10 vinyl chart for 2012, so I guess that proves that charts shouldn’t be relied on for any artistic recommendation. So I thought I’d dip my toe into the water, for old time’s sake. You have to understand here that I used to be a big White Stripes fan, but over the last five or so years, I’d really started to think that Jack White was washed up. I have all of the White Stripes records on vinyl (except Get Behind Me Satan which they didn’t release on the format) – even the Under Great White Northern Lights live album – and they’re the only contemporary band I can say that about; but I haven’t even bothered to take Icky Thump or Under Great White Northern Lights out of their shrinkwrap yet (I’ve heard Icky Thump on my iPod and I’ve seen the film of that live album). But, Blunderbuss, is to me a huge success. It’s received many, many plays on my turntable in the couple of weeks since I bought it; and thanks to the free MP3 download that came with the record, it’s rarely been off my iPod. The last White Stripes album I can say that about was Elephant, not because it’s a great album from start to finish, but because there are a handful of songs on there that are as good as the band at their peak on De Stijl. 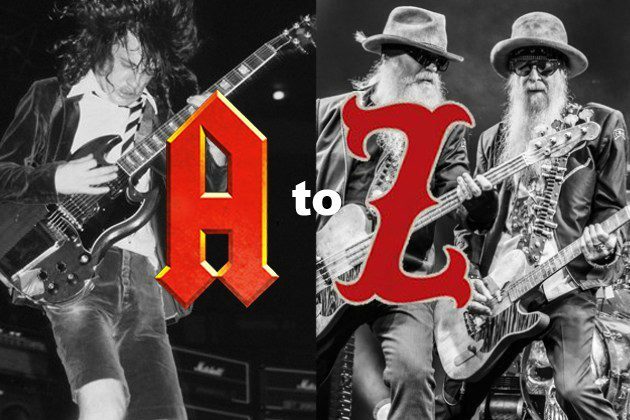 The album’s well produced – very, well produced – with a bunch of great songs and a diverse range of instrumentation. Thankfully, there’s not too much of the dull garage-rock sound that had blighted some parts of the White Stripes’ records from White Blood Cells onwards. Essentially the album sounds like it will stand the test of time, and I can’t say that for the last couple of White Stripes records. 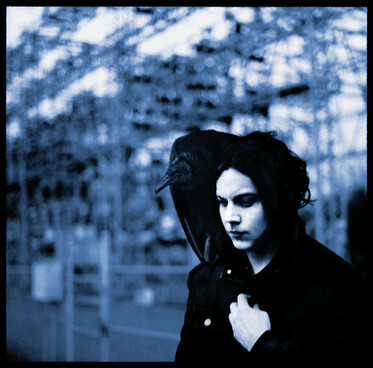 I hadn’t been a fan of any of Jack White’s side-projects, so I didn’t think I would like Blunderbuss, but I think it might just be as good as De Stijl, and that’s a huge thing for me to say. This entry was posted in 2012, Jack White and tagged 2012, Abbey Road, Blunderbuss, Elephant.De Stijl, Get Behind Me Satan, Icky Thump, Jack White, Mumford & Sons, The Beatles, The White Stripes, Under Great White Northern Lights, vinyl, White Blood Cells on March 6, 2013 by mrjohnnyandrews.